Tags: Bass recording and mixing techniques, Studio monitors guide. Is it important to mix with a subwoofer? This is one of the most common questions by beginners in mixing. The shortest answer is that subwoofer may not be required but it is still important that you can hear bass frequencies correctly. This is if you want to mix bass levels accurately. Still confused? The details are discussed as follows. The golden rule of mixing is that you cannot mix what you cannot hear. So it is very important that you can listen to both very low and high frequencies when mixing. If you cannot hear bass frequencies very well during the mixing session, then do not expect that your bass in the mix sounds great and balanced. a.) Flat frequency response (from the lowest possible frequency all the way up to high frequencies). b.) 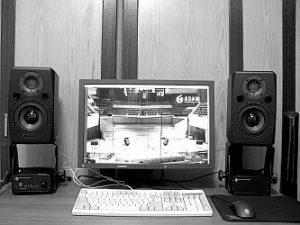 Very wide frequency response – it is recommended that the nearfield monitor capture frequencies like 45Hz to 60Hz very well. 45Hz to 55Hz is a very important frequency range for mixing deep bass. For example nearfield monitor like Dynaudio BM 6A Mk II (active monitors) have a frequency response accuracy of 40 Hz – 21 kHz at ±3dB. This is very accurate nearfield isn’t it? This means that from 40Hz (which is a sub-bass frequency) all the way up to 21 KHz, the SPL that will reach into your ears (assuming your room is perfectly treated also) will only vary by 3dB. 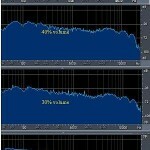 One issue is that this type of monitors can be very expensive and beyond the budget of beginning home studio engineers. A pair of these monitors can cost around $1500. However nearfield monitors like this can behave like a subwoofer + nearfield monitor all-in-one. So it is a good trade-off in terms of overall performance even though it costs more. 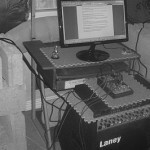 But most home studio enthusiasts can only afford low cost nearfield monitors. These monitors though it can still reach deep bass like 50Hz is not as accurate as those expensive monitors. Based on experience, you can still mix bass with this type of nearfield monitors, how?